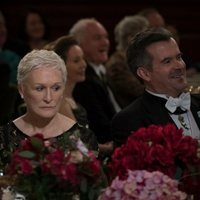 Joan Castleman (Glenn Close) is a woman who has renounced to all her dreams and aspirations in order to support his husband's writing career. Despide the multiple infidelities, she has kept loyal and unconditional to Joe's side (Jonathan Pryce), and she has not cared about anything else, since she has always admired his artistic talent. But one day Joan comes to her limits. Realizing that she has been sacrificing her own writing talent for years in order to support his husband's, Joan makes a drastic decision: se takes the initiative of leaving everything behind, including her husband, in order to travel and accept a prestigious literary award for a book she has been working on with all her determination, effort and dedication. 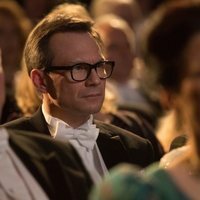 Björn Runge ('The Wife'): "My challenge making the male character as sympathetic as possible"
Write your own 'The Wife' review. Annie Stark, who plays young Joan, is actually Glenn Close's daughter. Though set in Stockholm, the majority of the film was shot in Glasgow.